Carlo Alberto Buffa was part of a pioneering group of Italian Protestant missionaries, predominantly from the Piedmont region, who, in the late 19th century, travelled as far as North America and Canada to set up their own Waldensian communities. Carlo Alberto Buffa was born on the 22 January 1864 in Luserna San Giovanni, Turin, Italy, son of Bartolomeo Buffa, a landowner. He and his brother Giovanni Danielle Buffa were raised, like many other young men in the region, to become Waldensian pastors. 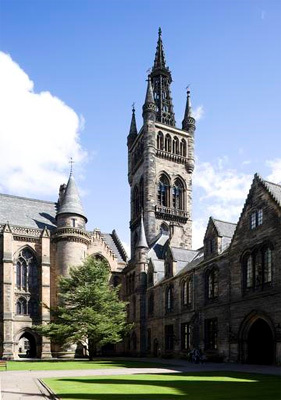 In 1890 he enrolled at Glasgow University for his final year to study Moral Philosophy under Professor Edward Caird, having transferred from the Faculty of Theology at the University of Florence. The Waldensian community of Piedmont had long-standing ties with Scotland, and Carlo's brother himself transferred to Edinburgh for his final year. During his time in Glasgow Buffa founded a school for the children of Italian immigrants. In 1892, Buffa was invited to travel to the Waldensian Church in Monett, Missouri, by pastor Giovanni Pietro Salomon, who was one of the first Waldensians to travel to America, founding the church in 1875. In 1895, Buffa journeyed with his wife Alice Reynaud to Canada to the Italian and French communities in Montreal. Buffa returned to Italy in 1897, serving as a minister in Syracuse, spending his final years in his birthplace Luserna San Giovanni. He died on 15 May 1904.